Homeschool energy tends to ebb and flow. And, while many find themselves in the summer doldrums, they may be looking for something a little educational, and yet a little fun, to liven up their summer siesta. Or, maybe you are plugging away at your regular homeschool routine, but would like to add some extra flavor to the mix. The writers at The Old Schoolhouse completely understand the need for variety in the homeschool situation. And, they also know that you have little extra time to plan and prepare those “extras” since your time is consumed with all that is required of you in a given day. They created monthly modules to meet this need. 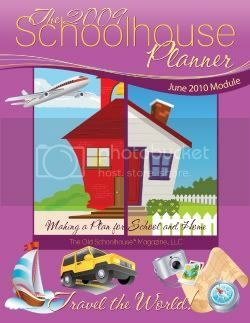 These handy modules were created to go along with their homeschool planner. But if you don’t have the current planner (I don’t either — although it does look amazing), these modules are also made to stand alone in bringing a little kick to your school day in the form of a unit study. The June Module, entitled Travel the World brings a fresh look at Geography to your students. Inside you will find links, activities (both online and print), copywork, lapbook printables, recipes, basic geographic information, and extra activities to challenge your older students. Details: Travel the World is a 52 page ebook with ideas for teaching any age child a bit more about the world they live in. It offers you a prepacked, preresearched unit study that you can pick up and run with no matter how old your children are or how many you have. Information packed. This module has lots of information along with over 100 links to even more online information. It definitely covers the topic of geography — continents, oceans, maps vs. globes, countries, mountains, etc. Enough activities to savor some later. Of course, you might not get to everything in the time you originally allotted. And, we look forward to revisiting the recipe section of the book. Even the sections full of links will need some more time because they hold too much to digest at once. Flexible. This book does not split up the material in a prescribed format. You decide what you want to cover when and how slowly or quickly to move through it. Time Saver. Usually when I want to spend time on a unit study, I must first scour the internet for resources and information. Inside the module all of that work is already done. You have virtually limitless information at your disposal and you don’t need to waste your own valuable time searching for information, activities, and other web-based resources. Multi-age. Most homeschoolers have a variety of ages in their one-home schoolhouse, and this module will work with all of them. Extension activities just for those high schoolers, and lots of fun activities for other students to complete on their own or with your help depending on their age. Bible based. While the material is mostly based on current geographical facts, the book is peppered with Scripture verses and offers some faith-based reasons for spending time studying geography. Not spelled out. While I love the flexibility of the format, it might confuse you if you are used to a more scripted or scheduled format. This is just loads of information that you decide how to work into your day. It doesn’t have lesson plans, objectives, or assignments. We could go through as much of the material I wanted to each day, and pick up where we left off the next day. This isn’t a bad thing, but if you like a schedule, you would need to divide up the material on your own. Light on projects and active activities. Especially with my little ones, I love to get moving and get hands on. While the ebook does include quite a few activities, many of them are web based or pencil-paper activities. You might want to supplement for those more kinesthetic learners. It does suggest geocaching or letterboxing which would be a great start. You could also consider making a salt dough map or some other geography related art project. As usual, TOS offers a high quality product at a reasonable price in this ebook. 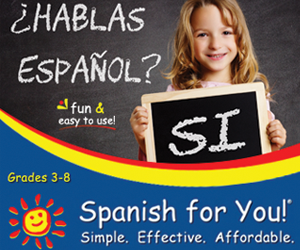 It comes ready and easy to use with lots of information and learning fun for your kids. If your kids need something productive to add to their day or you are looking for some help in working geography into your school day, don’t hesitate to Travel the World together. Disclaimer: This ebook was provided to me free of charge through The Old Schoolhouse as part of my participation in The Old Schoolhouse Homeschool Crew. I received no additional compensation and the opinions expressed here come from my personal experiences and sincere thoughts. Hello from a fellow TOS crew member. I’m spending a little time checking out some of the the other reviews. Nice job!